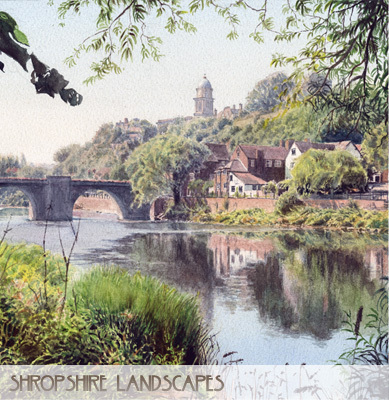 The Gallery is situated in Bridgnorth opposite the quayside of the River Severn with splendid views of the River and the old Bridge. Paul started Stoneway in July 2002. The name Stoneway came from the steps of the same name. Stoneway Gallery offers a wide selection of Original Watercolours and Giclee Prints of the local area, the Lake District and many more areas to choose from.